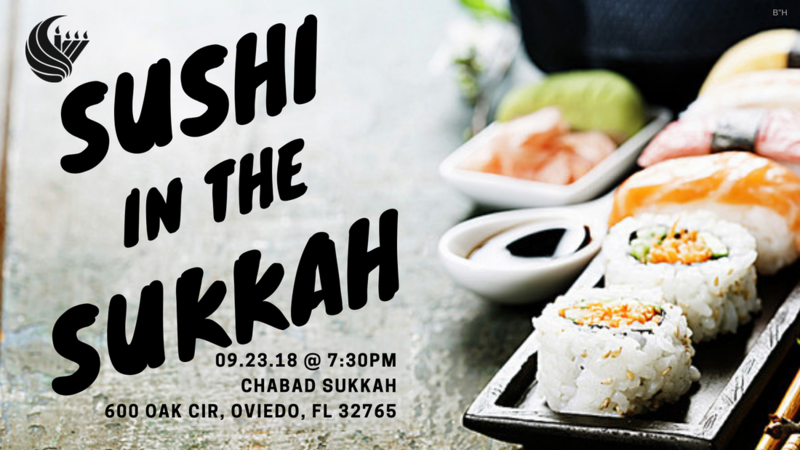 Join us for the first night of Sukkot for an elegant evening of Sushi in the Sukkah! It is the Second night of Sukkot! COME CELEBRATE CHABAD STYLE! Special Holiday Dinner!! - Fun and Spirited!! ​Come join us and celebrate Subs in the Sukkah! Subs, coldcuts, veggies, tuna, salad, fries and much more!